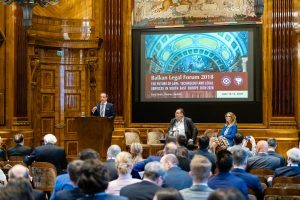 The 10th edition of the Forum (14th – 15th June, Park Hyatt), titled The Future of Law: Technology and Legal Services in South East Europe: 2018-2028, was held with great interest among over 150 delegates and speakers from 30 countries from five continents including, beside the European countries, Jamaica, USA, Singapore and Australia. 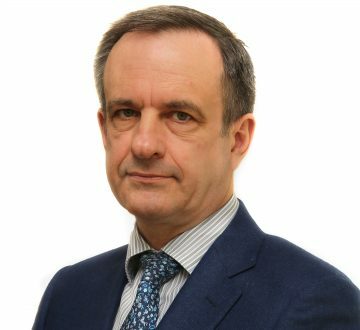 Borislav Boyanov, Managing Partner of BOYANOV & Co., together with Norman Clark, Founding Partner at Walker Clark LLC, and Stephen Revell, Senior Partner at Freshfields Bruckhaus Deringer, Singapore, chaired the Balkan Legal Forum 2018. 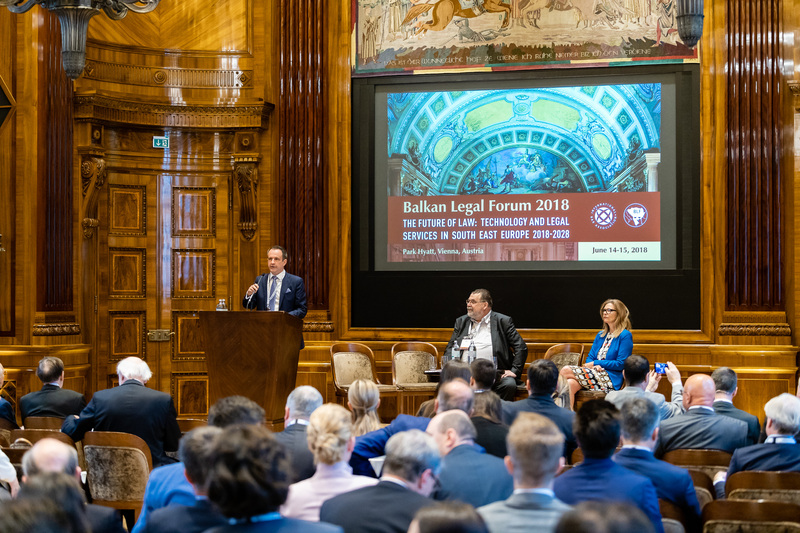 Balkan Legal Forum is a bi-annual legal conference organised by the IBA European Regional Forum and the Legal Development Foundation with the kind support of IBA Law Firm Management Committee. As with the previous Forums, the event was effectively nurtured by the team of BOYANOV & Co. The main theme on the first day of the conference was How will technology redefine legal services in the Balkans? Main topics included AI, Blockchains, Fintech and their effect on the clients’ future, GDPR and other elements of personal data protection, cybersecurity challenges in the on-line environment, protecting the technology, legal and regulatory changes expected in the banking and financial services, the changing nature of legal services and expertise. 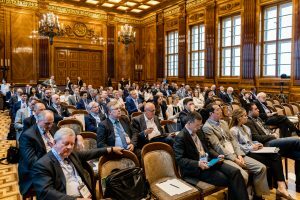 The second day of the conference is traditionally devoted to Law Firm Management. The main topic was How will technology redefine the practice of law? Prominent speakers from the legal field and the business discussed topics such as: Leading change: the critical management skill of 2020s, Law firms: evolution or extinction, Looking inside the artificially intelligent law firm, “Natural intelligence” in tomorrow’s law firms, and Building sustainable profitability in an unpredictable business environment. Some of the highlights of the Forum included the SEE Legal-sponsored Rakia Tasting Welcome Reception, defined by some of the guests as a “genius idea”, during which the delegates had a chance to experience the tastes of over 35 types of premium rakias originating from each of the SEE Legal member countries, the Balkan Legal Forum’s Gala Dinner, held at the beautiful Palais Ferstel, at which first-class musical entertainment provided by The Sentiments Duo and Panfili & Friends (performed at Wiener Musikverein), was accompanying the excellent menu and last, but not least, the opportunity to try on virtual reality glasses, kindly provided by Gensler, to experience the upcoming technological future now. For more information, please visit https://balkanlegalforum.org.